Thank you for reading my fifth and final post for my social media course towards my Masters in Sport Management! This week I will be talking about some of the best practices for blogging and how the sports industry employs these best practices. 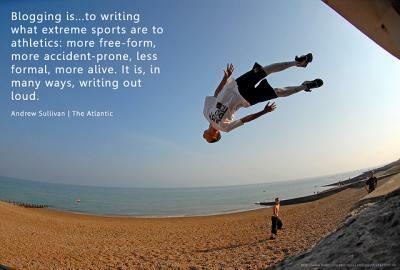 Sports blogging has gained a great deal of credibility and has become a normal practice in the industry. Almost any industry can benefit from a blog if they follow guidelines and take advice from other blogs that are doing things correctly. Determine a goal for the blog. Design the blog and its connection to your site. Develop a marketing plan so people can find the blog. Remember, blogging is more than writing. I also read another article written by Pratik Dholakiya that was published on Social Media Today and titled How to Blog (Even If You Can’t Write). I think he made some really great points about how you can be successful with blogging right from the start if you just keep it simple, know what you are talking about, and follow basic guidelines. It stated the following 5 steps for successful blogging. Play Mad Libs with headlines. I read a few different articles published through Sports Business Journal but one really stood out to me. It is titled Revolution to Credential Independent Fan Bloggers and was written by Fred Dreier. It had two great quotes that I’m going to post below and helps show that independent bloggers are getting more and more recognition in the sports industry. The NHL and MLS have given opportunities to independent bloggers and given them the same respect as a credentialed press member. The New York Islanders and the Washington Capitals are two of the main teams who helped start the trend in the NHL of letting independent bloggers in the pressroom. Blogging is not going anywhere anytime soon and it is a trend that can be seen throughout many different industries and is gaining a great deal of support and recognition. Thank you for reading my fourth post! This week I will be talking about the challenges and risks experienced with taking a brand social, or not taking a brand social. In my eyes, it’s quite simple that in the modern day there is no choice, a brand must choose being social. The sports industry is one of the best examples that can be examined because most leagues are engrossed in social media websites and taking the brand social. 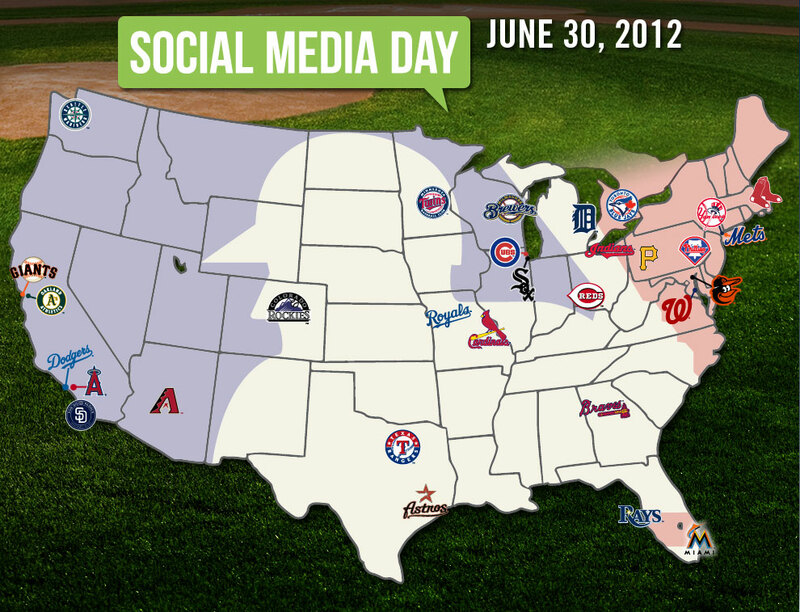 I believe that Major League Baseball has done a great job with handling social media and interacting with fans. 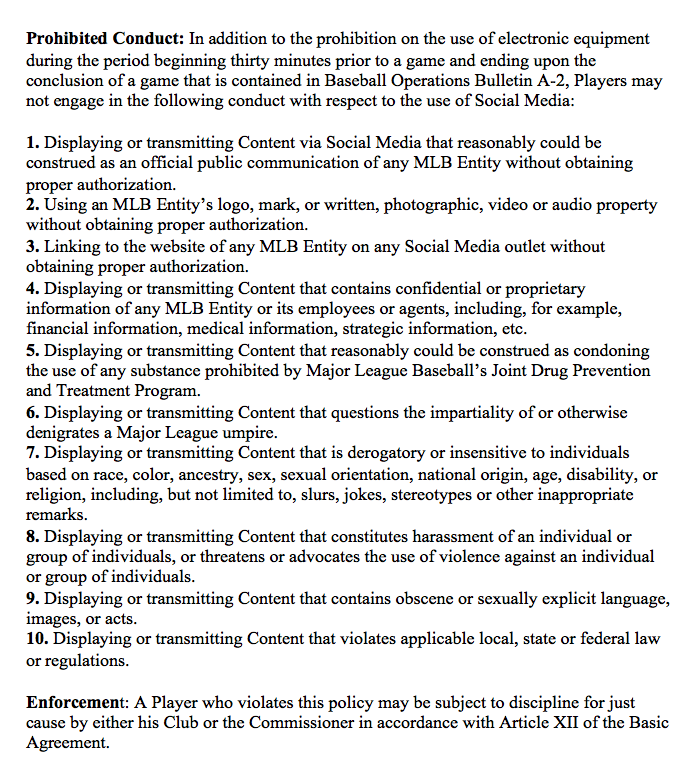 MLB has a social media policy for players and teams that is simple and effective. I read an article written by, Craig Calcaterra, titled, Major League Baseball releases its social media policy — and it’s pretty good. It stated some great facts about the social media policy. The follow are the ten things that are on the prohibited list (found here). The last thing I will mention is something that I read by Phyllis Zimbler Miller, who’s information can be found here. She stated on her blog that, “Once you become active yourself on social media platforms, you’ll find many more reasons to promote your brand, book or business on social media in order to attract targeted potential clients/customers. And you’ll look back at your pre-social media days and wonder how you ever did marketing without using online social media.” Taking any brand social is a must and no matter what the risks, it’s worth doing because that is the way of modern day society. This shows a number of different social media platform ratings for different MLB teams on MLB Opening Day 2013. Thank you for reading my third post! This week I will be talking about a mobile social media application in the sports industry that helps drive business services or products to consumers. One of my favorite applications that I personally use on a daily basis is MLB At Bat 13. It is developed by MLB.com and has proven to be reliable and trustworthy. My favorite team is the New York Mets, but I live in Chicago, yet I haven’t missed a game in a couple of years. I can do this because I have the MLB At Bat app and am also an MLB TV premium subscriber. I get to watch every game (besides the blacked out games when they play in Chicago) on my iPhone, through my PS3, or through my Smart TV. This is incredibly convenient and helps me stay close to my favorite team, no matter where I’m at or what time they are playing. 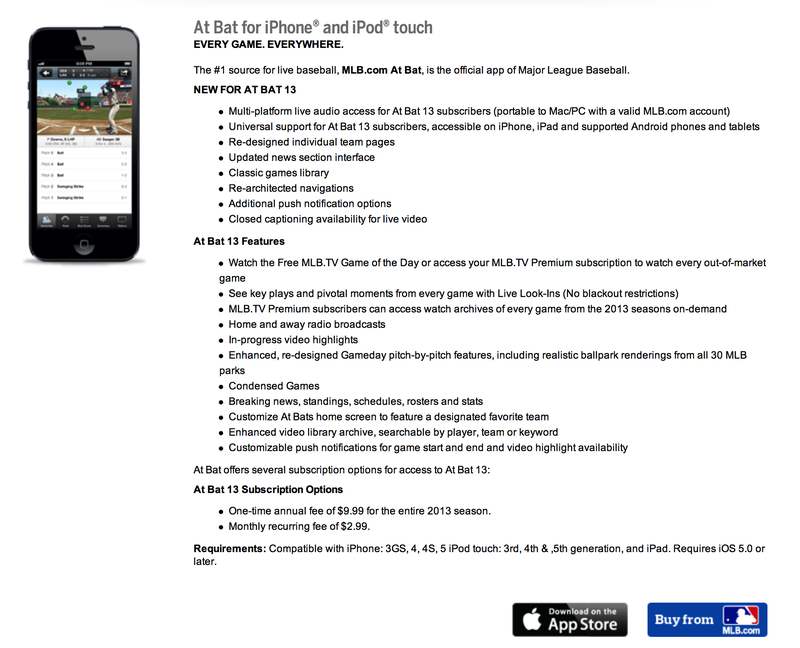 MLB At Bat 13 is a mobile social media application that brings the fans closer to the game they love. For a fee (unless you are already an MLB TV Premium Subscriber), you can watch your favorite teams on the go, catch live look-ins, watch highlights, read breaking news stories, see rosters, schedules, and stats, along with many other features. They also link back to the MLB Store, where you can find any MLB team product you would like to purchase. They are smart by constantly driving traffic back to the MLB website and creating more profits by linking to the official shop as well. MLB At Bat 13 is the number one sports application and has had a great deal of success over the years. The application had some negative reviews and complaints in the beginning but has gotten better and better each year. MLB.com has done a great job in listening to the fans and taking suggestions into consideration for the next years application. Each year has brought new improvements and better quality to the application. I read an article, posted on SVG, titled MLB.com At Bat App Surpasses Six Million Downloads. The article stated this about the success of the 2013 version of MLB At Bat, “MLB Advanced Media, L.P. (MLBAM), the interactive media and Internet company of Major League Baseball, announced that its MLB.com At Bat application surpassed the six million download mark. Last year, At Bat reached six million downloads on October 4, before finishing with a record-setting 6.7 million downloads.” I’m looking forward to seeing what the future holds for this application and what improvements will be made for the 2014 season. Thanks for reading my second post! This week I will be talking about social media within the sports industry. In the past few years social media went from being a trend to now becoming the norm in most industries. 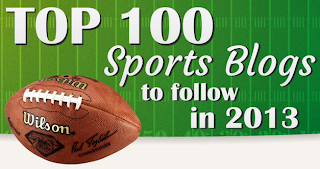 Fans, players, and teams alike use social media and the numbers of users are growing on a daily basis. Social media has become a moneymaker for the sports industry and teams are taking advantage of it. I’m going to specifically talk about Major League Baseball, because baseball is my passion and I hope to someday work in the industry. My father has worked in the major leagues since I was 10, and is currently in his ninth season working with the New York Mets. I played baseball in high school and college and can still feel the competitive juices flowing in me now, so I give hitting, fielding, and pitching lessons to kids to help pass that passion and knowledge on. Baseball is much more than just a sport to me and I am constantly monitoring the industry to see updates and changes. I believe that Major League Baseball is doing a great job of making sure that the league, as a whole, is staying ahead of the curve in the social media world. I can’t wait to see what the trends in the industry will be a year from now. Buck Wise, owner of Trending New Media, LLC, formerly hosted the Tigers (MLB) Social Media Lounge and above is a video he recorded with Prince Fielder. Welcome to my first blog post! I appreciate you taking the time to read this and I hope you enjoy it! This first blog post is about tools used in social media. I began by searching for an article about some of the trending tools at the moment and came across a great one. It is titled 50 Top Tools for Social Media Monitoring, Analytics, and Management and it was written by Pam Dyer and published online via Social Media Today (You can follow Pam Here if you would like to know more about her and the work she does). The article is based around 50 of the top social media tools, free and paid, available to consumers and businesses. I decided to focus on two of the tools I was familiar with, HootSuite and BackTweets, and then a third I had never heard of, uberVU. HootSuite is something that I was personally introduced to about six months ago and it’s quite a time saving tool. I am able to manage my tweets and posts all in the same spot and can schedule them for weeks in advance when I’m not going to be around. The dashboard system that they feature is easy to understand and really helps the user stay on top of the social media world. The website states this about the company, “HootSuite is a social media management system for businesses and organizations to collaboratively execute campaigns across multiple social networks from one secure, web-based dashboard. Launch marketing campaigns, identify and grow audiences, and distribute targeted messages using HootSuite’s unique social media dashboard. Streamline team workflow with scheduling and assignment tools and reach audiences with geo-targeting functionality. Invite multiple collaborators to manage social networks securely, plus provide custom reports using the comprehensive social analytics tools for measurement. Key social network integrations include Facebook, Twitter, LinkedIn, and new Google+ Pages, plus a suite of social content apps for YouTube, Flickr, Tumblr and more.” I think HootSuite is something that will continue to grow in popularity and companies should take advantage of its time saving features. BackTweets defines themselves on their website as follows, “BackTweets is a twitter time machine which enables you to search through a tweet history for tweets that link back to your site. As a free web app, BackTweets lets you search through a tweet archive for URLs sent via twitter. URLs are found regardless of the form they were tweeted in and include: full URL links, shortened URLs and URLs without the WWW prefix. BackTweets is a great tool for tracking your social media pulse- see how many people are talking about you, who is talking about you, and what they are saying.” This is a great tool if you are looking to find who is searching for you or your company on Twitter. There are some downfalls to this tool as well though. It is Twitter specific and cannot search any of the other social media networks, it only searches the database for urls, and the owners of the domain name and tool have been consistently changing over the years. Saying that though, it is a really great tool when you are looking to expand in the Twitter universe and see the best audiences to target. I would love to hear from some people who have familiarity with these tools and have experience with them. Please comment or share any thoughts or suggestions you may have as well.